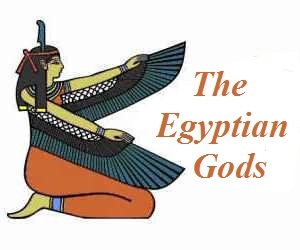 Discover the legends and myths and religious beliefs surrounding Bes, the ancient Egyptian guardian and war god who was depicted as a frightening, grotesque figure but was in fact a benign, or friendly, god to the Egyptians. Bes was depicted as a bandy-legged dwarf deity with a large broad face with a beard or surrounded by the mane of a lion, wearing a skin of a panther, the uniform of a soldier, or a kilt and the tail of a lion. His tongue was often depicted protruding from his mouth and he sometimes brandished a knife or sword. Bes was closely associated with Taweret the hippopotamus goddess with whom he shared protective duties relating to childbirth and who was frequently described as the wife of Bes. 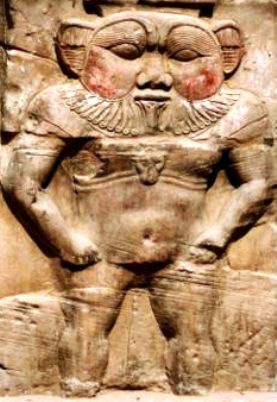 Bes was the Egyptian guardian and war god and a protector god of childbirth. He was believed to guard against evil spirits and misfortune. The ugly appearance of Bes was believed by the ancient Egyptians to act as a frightening deterrent to the enemies of ancient Egypt which was emphasized by his aggressive stance when holding a sword. In his role of a protector god of childbirth he was revered by the royal family of Egypt and depicted on scenes of royal births in the temples of Thebes. No cult center was dedicated to Bes, he was primarily worshipped as a private, household god and was depicted in the homes and shrines of the tomb workers in Deir el-Medina. 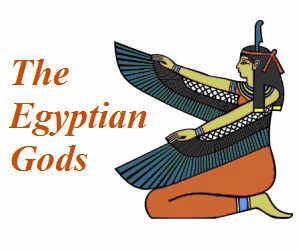 The diverse roles of the dwarf god encompassed that of a benign, protective god who revelled in music and dancing and as a fierce adversary to enemies of Egyptians, including dangerous animals, snakes and scorpions. Normally the ancient Egyptian gods were shown in profile, but Bes always appears in full face and ready to attack on any approaching enemy, danger or evil. The Sa symbol meant “protection of young life” and was often used as an amulet or good luck charm. The Sa was linked to both Bes and his 'wife' Taweret whose images were often engraved on amulets and good luck charms. 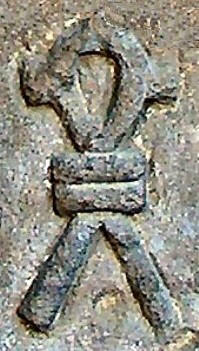 The Sa appeared to be a modified version of the Ankh. Another interesting symbol of Bes is the plumed headdress or crown. The titles given to Bes included the "Lord of Punt" and the "Lord of Nubia" that reflected the belief that Bes was of African origin, possibly connected to Pygmies a tribe of dwarfs reputed to live in Nubia (now Ethiopia). Another Egyptian deity called Anuket also wore a similar headdress. The picture below shows an African headdress worn by a chief and the similarity between this and the crowns of Bes and Anuket is clear.